What’s it like in paradise these days? It’s a good question to ask in the dark days of winter, especially since I am currently in a position to give a tentative answer. Did I say that I have been in New Zealand for a month and that the summer there, often as unreliable as our own, has been terrific this January and February? We encountered only one wet day in a month.It sounds pretty good and it was. 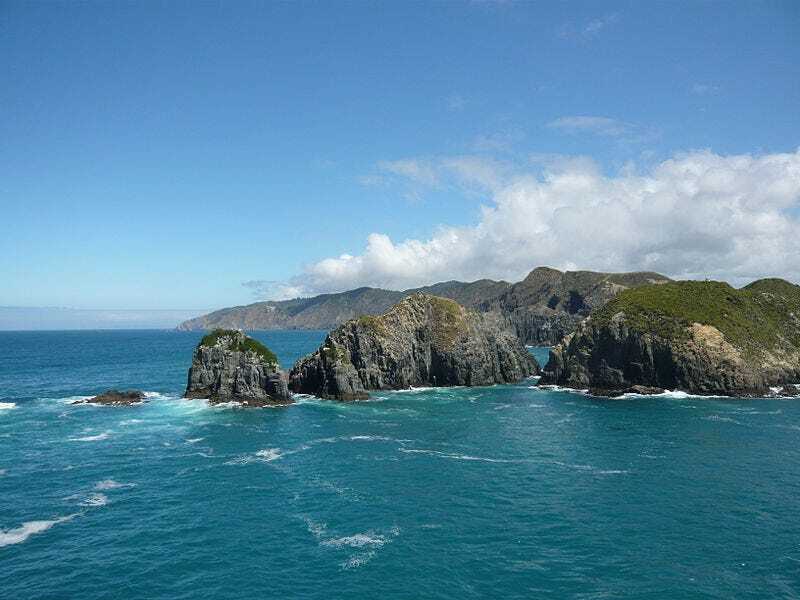 But as the poetic paradise specialist John Milton could have predicted – he was a young man when the Dutch explorer Abel Tasman first encountered the Maori “land of the long white cloud” in 1642 – paradise has its problems too. Many of them are much like ours. It’s a point worth making during a cold European February in the fifth year of economic gloom. Of course, some things are peculiar to New Zealand, slightly larger than Britain but with a population of just 4.4 million. There are blood-sucking sandflies (yet not a single predator that kills humans) and regular earthquakes, occasionally lethal like Christchurch’s double hit. The shattered city centre is still boarded up like a war zone, though downtown shops have reopened in portable buildings. On the remote South Island beach where we attended a family wedding, there was a tsunami warning a few days after we left. Possums, a preserved species 900 miles away in Australia, are regarded as vermin in New Zealand to which they were exported (and where they thrived). Thanks to the Kiwi film director Peter Jackson, Hobbits are a more popular import. The Middle Earth location site is now a tourist attraction. As for relations between whites and Maoris (14% of the population) they are complex and can sometimes be tense. Yet the latter have a more prominent and secure place in the life and culture of their shared country than any pre-Columbian native people that comes to mind elsewhere. Where else are ex-colonialist whites content to refer to themselves as pakeha, the word the Maoris use? In any case, it may be Asians – 9.2% of the population and a growing chunk of the tourist market – who most shape the country’s long-term future in the coming Pacific century. It must look very green, warm and attractive to Japanese and Chinese tourists. Empty, too. But NZ’s similarities with our own north Atlantic archipelago are also striking. The day I arrived, the New Zealand Herald’s spread of stories included a plea for Pharmac, the Kiwi equivalent of the National Institute for Health and Clinical Excellence, to sanction use of a costly new miracle drug and a boast by the conservative prime minister, John Key, that his move to weaken trade union bargaining rights had clinched the deal to film The Hobbit locally (along with a controversial cash subsidy). The edition also noted rising concern over luxury house prices and a simmering culture war over gay marriage. Sounds familiar? David Cameron’s EU referendum pledge also got a decent show – for old times’ sake. New Zealand is still far more British – and less American – than Australia, but the old ties have steadily weakened since the UK joined the embryonic EU in 1973 and forced NZ to look to wider agricultural markets in Asia and to economic diversification. It has tackled the challenge with serious ups and downs but overall success. New Zealand is a much more outward-looking and sophisticated place than it was. What else? There was a contaminated milk scare which alarmed New Zealand’s customers in China (which has had far worse milk scares of its own) and a loudmouth Ukip-style MP called Richard Prosser also gained news coverage overseas – as we say down under – for suggesting that young Muslim males from “Wogistan” should be barred from using respectable airlines. The ensuing uproar was much as it would be in Britain. In my experience you never see poverty in New Zealand as you might in poorer neighbourhoods in the US or Europe. Mainly Maori towns have a subdued quality (says me) and health and education, income and crime stats all point to lower achievement. But it’s not Detroit or even Tower Hamlets. This remains an unflashy society, basically decent, social democratic in tone, one which gave women the right to vote in 1893 – the first country to do so in modern times – and pioneered many social reforms. It also reversed some of them in the 80s. International studies today confirm that even self-consciously egalitarian societies such as New Zealand and France (where women got the vote in 1944) are not immune to global trends towards social and economic inequality. Swimming on one of NZ’s wide sandy beaches – you can often get one to yourself – the visitor can’t help but notice how grand some of the second homes are now becoming. What were once simple wooden huts – known locally as baches – are now transformed into three-storey mansions, self-consciously glamorous. The flip side of this is a coalition of unions and community groups campaigning for a “living wage” of NZ$18.40 an hour which, at current exchange rates of around $2 to the pound (it was $3 last time I was there) is around £27,000 a year for a couple with two children. Although the country is an efficient food producer Kiwi food does not feel cheap. Nor does its lovely wine. Unemployment is slightly lower than in the UK, but a lot of kids grow up poor. I could go on, but won’t. You get my drift. There’s a row over the exemption of charter schools from freedom of information requests, another over perceived weakening of the country’s “clean, green” environmental standards, so important to Hobbit-seeking tourists. The rising dollar – NZ is another of those elusive “safe havens” for foreign savings – hurts exports and investment. “We can’t grow more agricultural land,” one farmer reminded me. Mainzeal, the third biggest construction firm in the country, has just gone into administration, the victim of overambitious financial engineering by a Chinese-Kiwi owner and of a string of carelessly sealed flat roofs which have generated crippling bills for leak repairs in major buildings. It’s not always sunny in paradise; it’s often very wet indeed. And it was design and construction flaws in the local TV building that accounted for more than half the 185 deaths in the Christchurch earthquake. Did I mention the Royal NZ Navy depending on Australian sailors – “cobbers” to Kiwi headline writers – to keep afloat? Or overcharging by telecom monopolies in both countries, which governments threaten to tackle, as governments do? I don’t think I mentioned NovoPay, the newly computerised system which has wreaked havoc with Kiwi teachers’ payslips for months. And there’s familiar concern about stabbings, muggings and murders; 12 killings so far this year – which is a lot among 4.4 million people. None of which detracted from the family wedding at a hippie-ish place called Gentle Annie on the “wild west” coast north of Greymouth where the Pike river mine disaster cost 29 miners’ lives in 2010. Most of the 120 wedding guests were outdoor types who arrived in 4×4 vehicles with surfboards, rafts, kayaks, kids and dogs, even a pony with its own portable electric fence. They camped, swam, fished and celebrated, then left much as Bedouin tribesmen might. Lovely. The bridegroom, a thoughtful mining geologist and migrant from Clay Cross in Derbyshire, drew my attention to dark smoke emanating from the nearby coalfields which feed China’s voracious steel industry. There’s been a fire raging underground there for 40 years, he explained. Even in a remote corner of paradise, the finger of global pollution disfigures the blue sky.